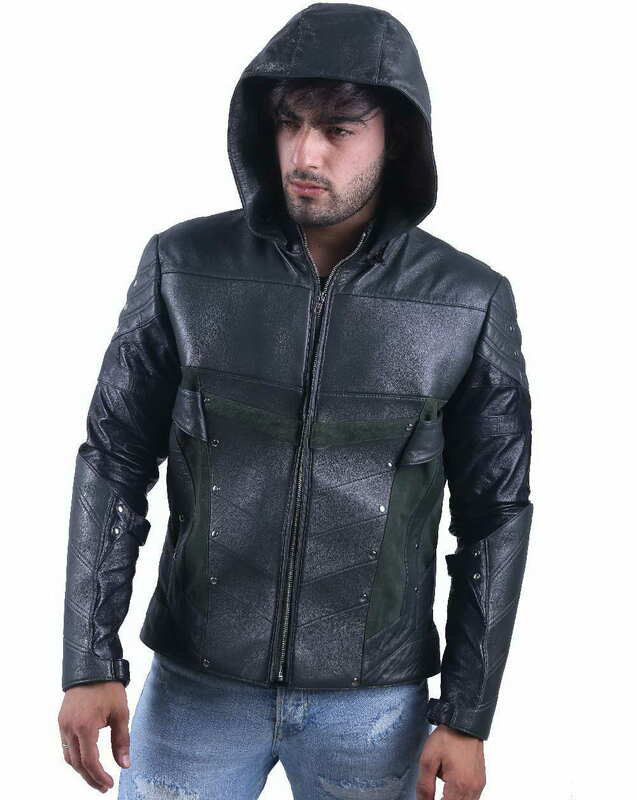 LeatherJacket4 is proud to showcase the dazzling Green Arrow hoodie jacket -- season 2 for all movie lovers to feel how it would be like to be a vigilant superhero by wearing famous Oliver Queen jacket. 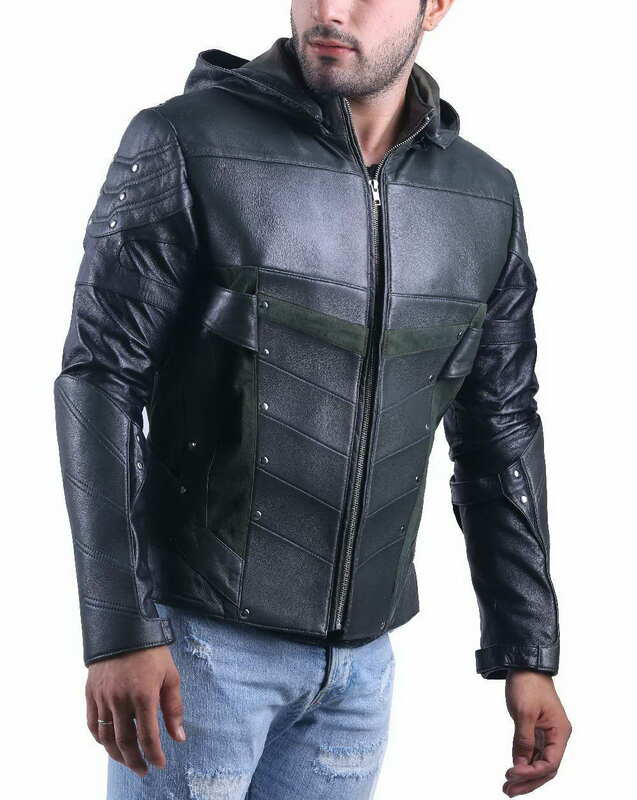 This jacket is worn by Stephen Amell in TV series Green Arrow season 2, we have made exactly same costume as Stephen Amell’s Green Arrow jacket with premium quality of leather type. Having screen accurate design and melting color-combo is showing the striking poses of real Oliver Queen costume. We ensure that it’d be looking exactly as it appears in TV with an iconic candy-green hood covering the head and shoulders. 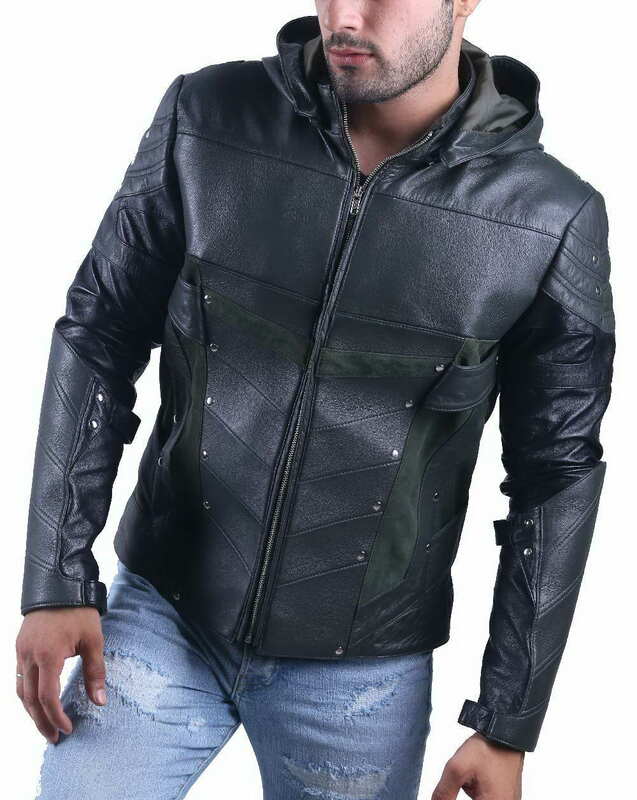 Whether you are a partygoer or a casual fashion lover - Stephen Amell leather jacket would look incredible once you wear it. 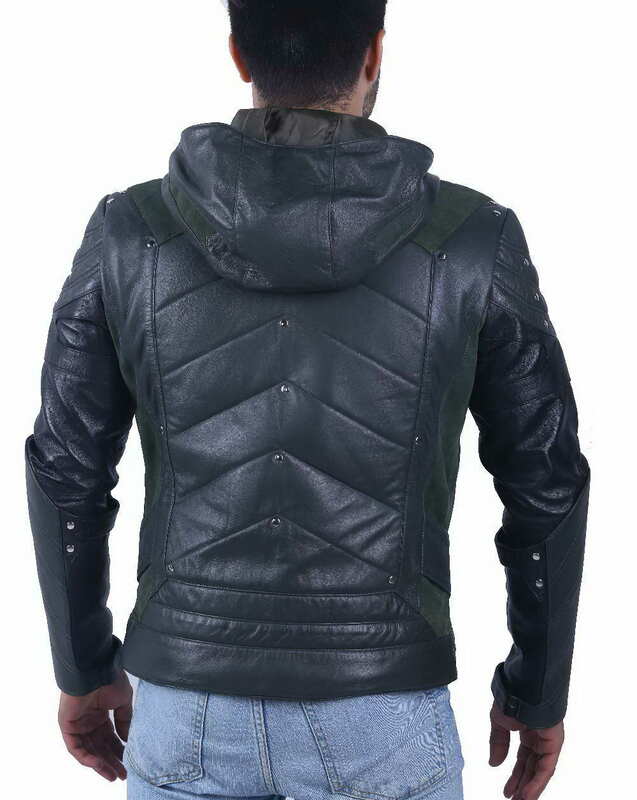 This Stephen Amell Green Arrow costume jacket has short fitted warm appearance. 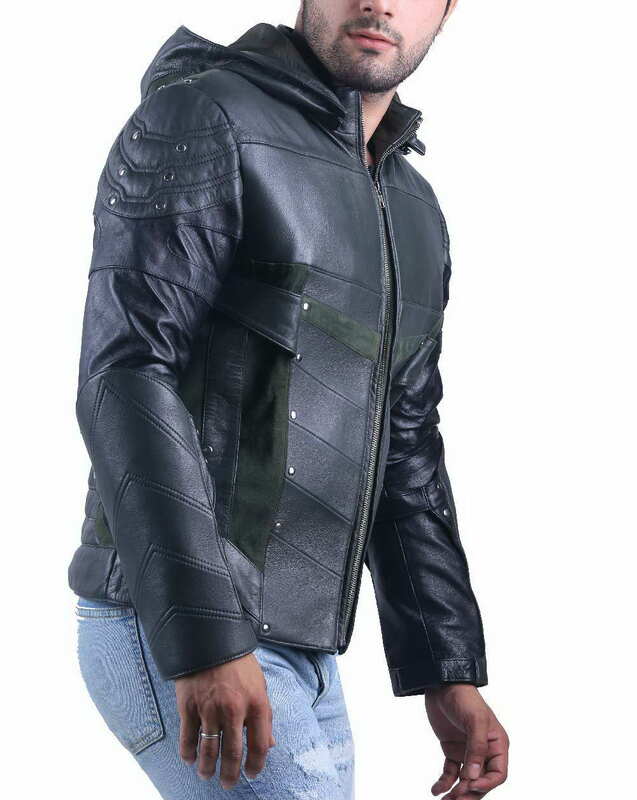 It grabs you smoothly as it is inducted with soft inner lining underneath to delicate leather. Two essential hand warmer side pockets and spacious hood is to keep you warm and secure form the furious breeze of winter. 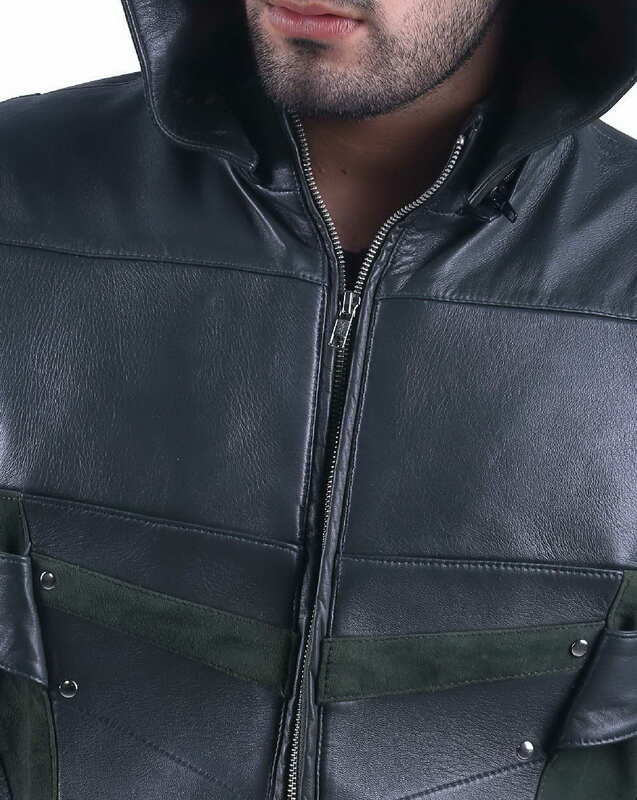 you may feel the double layer of Green Arrow jacket around chest with horizontal panels which makes it even warmer. 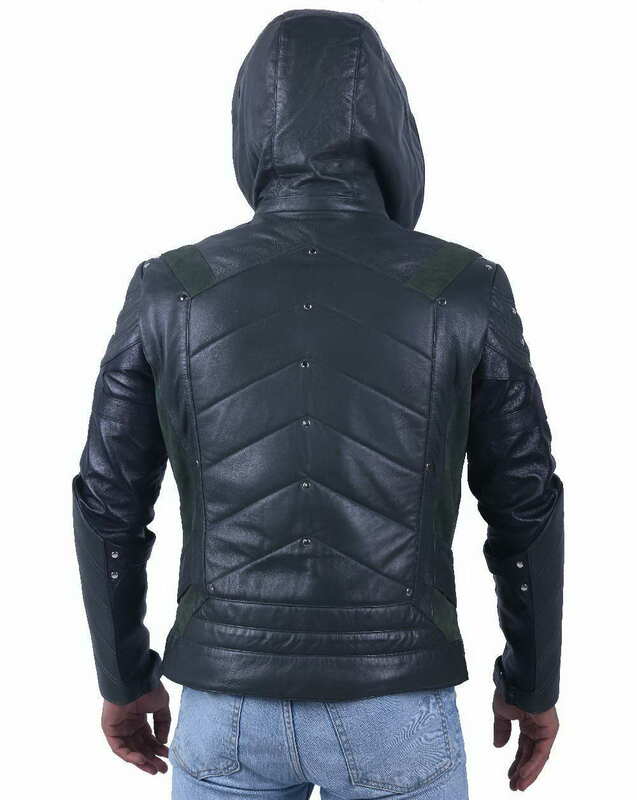 Thank You, II'm very delighted in reviewing this jacket, I lately got my Green-Arrow-2 Jacket , it is very comfortable and warm from inside. Would definitely recommend other to buy this from here. 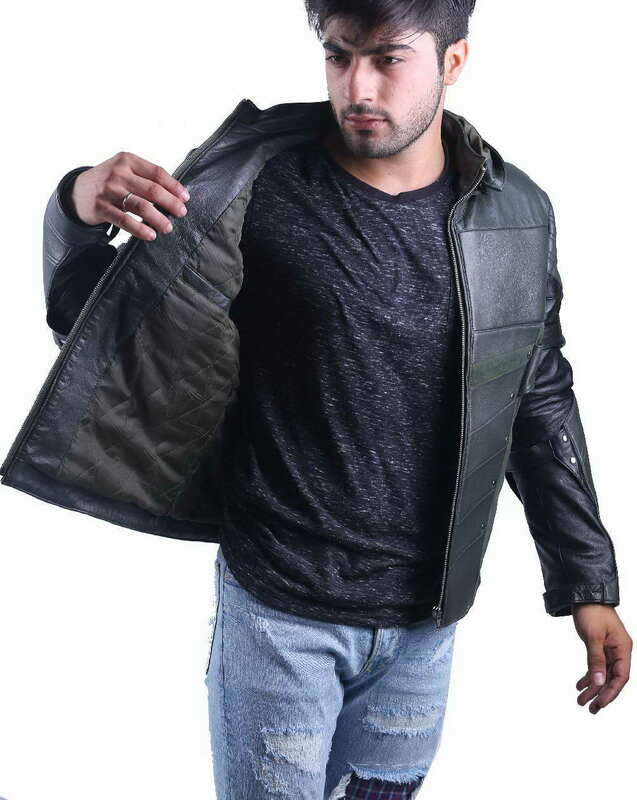 This jacket is best at this price, II've browsed many websites but as per the quality of the jacket is a concern I would definitely say it is a right price for such quality and design.